Birth Announcement: 101 Dissertation Tips now available! 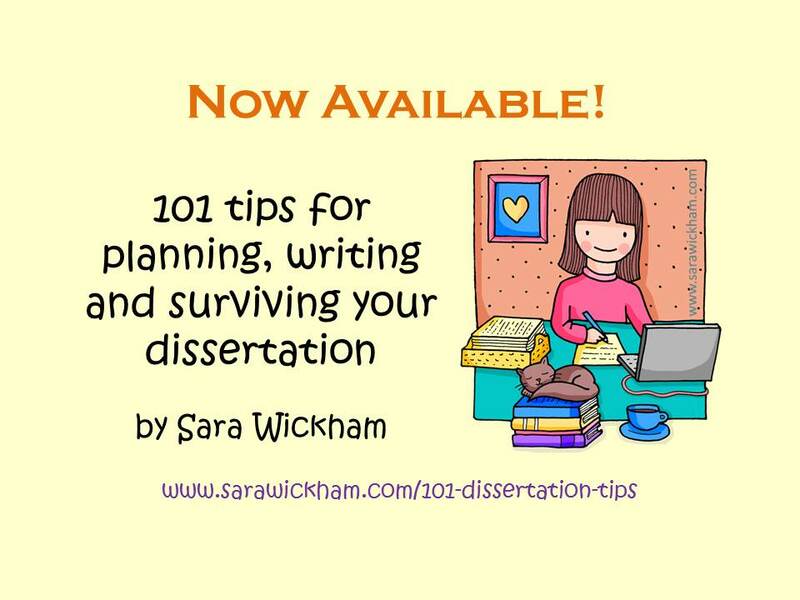 At last, my new book’s birthday has arrived and I am VERY excited to tell you that ‘101 Tips for Planning, Writing and Surviving Your Dissertation‘ is now available … click here to see and buy it on Amazon UK, Amazon.com, Amazon France, Germany, Canada, India, Italy, Mexico, or Spain (it’s very cosmpolitan!) and it’s also available on the Kindle store for people who like e-books. Or click here to go straight to the book and get ahead of the dissertation game!